The Dan Wesson 8 Inch MB-L Airsoft Revolver is large and in charge. The powerful airsoft pistol has an adjustable rear sight for accuracy and shoots out 6mm airsoft BBs at a powerful 430 FPS. 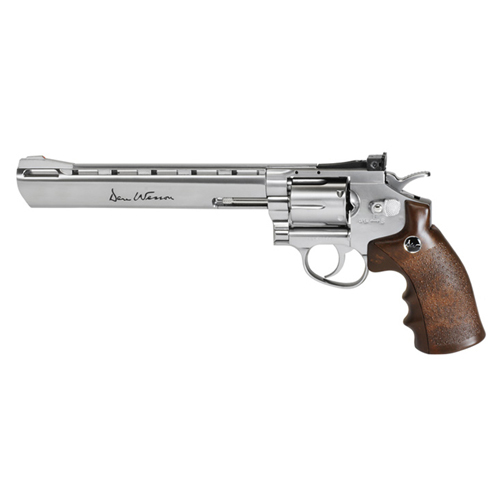 The realistic replica features engraved markings and an individual serial number. CO2 is stored in an accessible sliding back grip and is easy to reload.